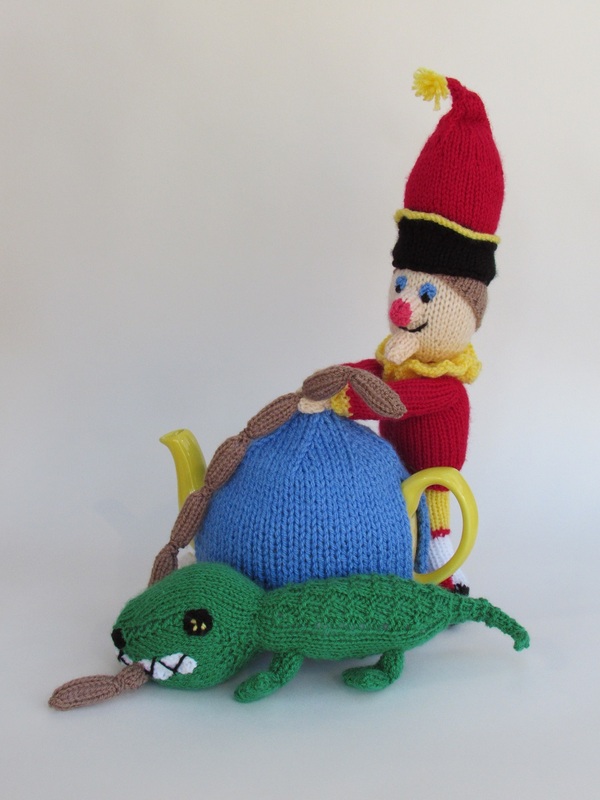 I was inspired to design a Mr Punch tea cosy after seeing a Punch and Judy show during the summer. 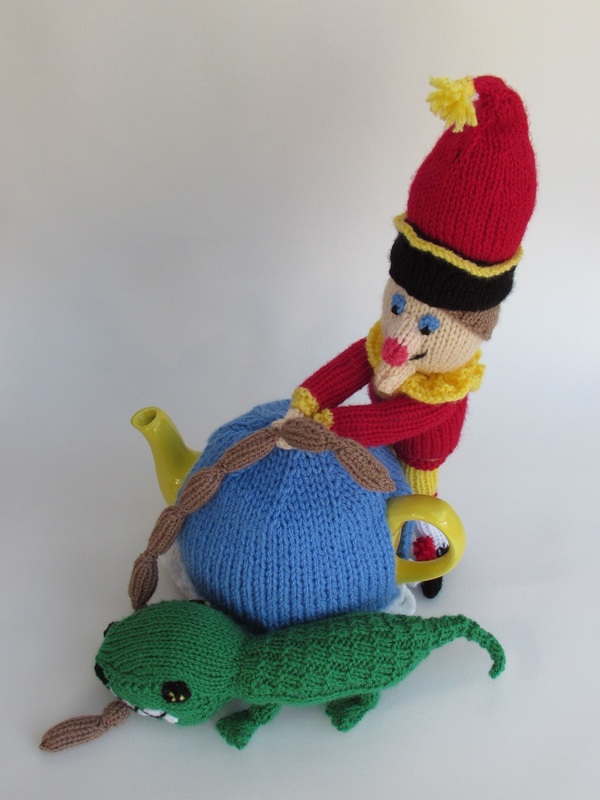 What attracted me was the bright colours and the simple theatricals and the iconic image that can only be Mr Punch. 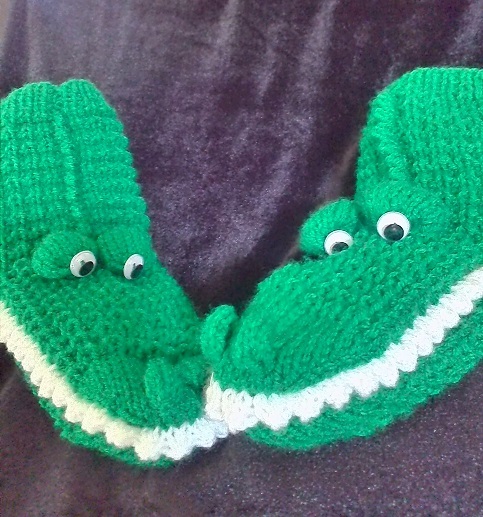 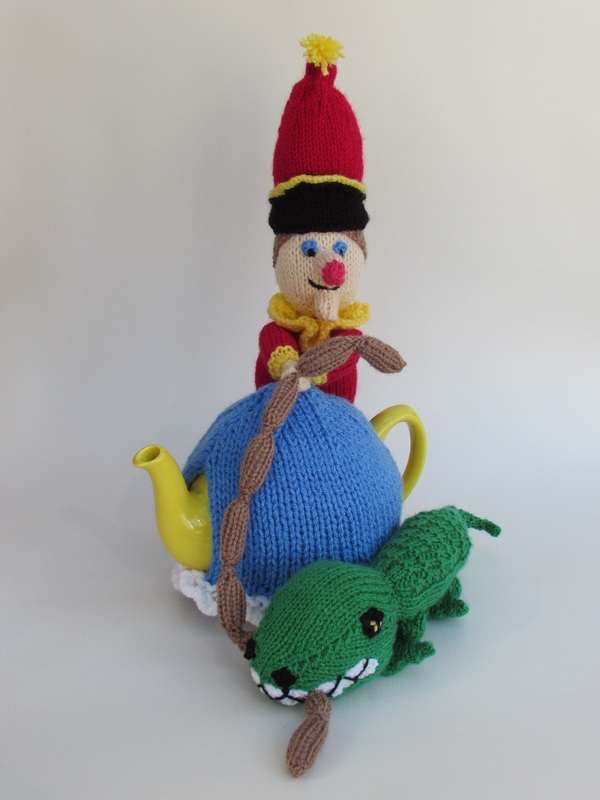 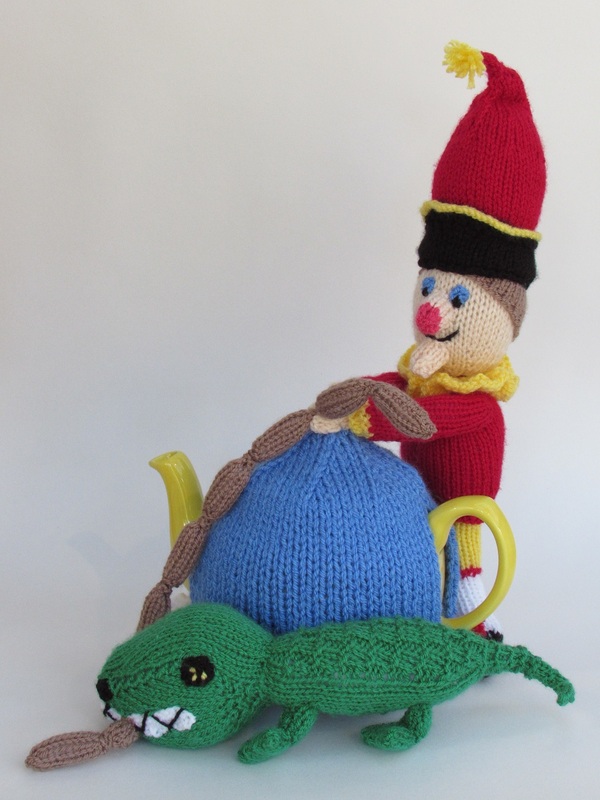 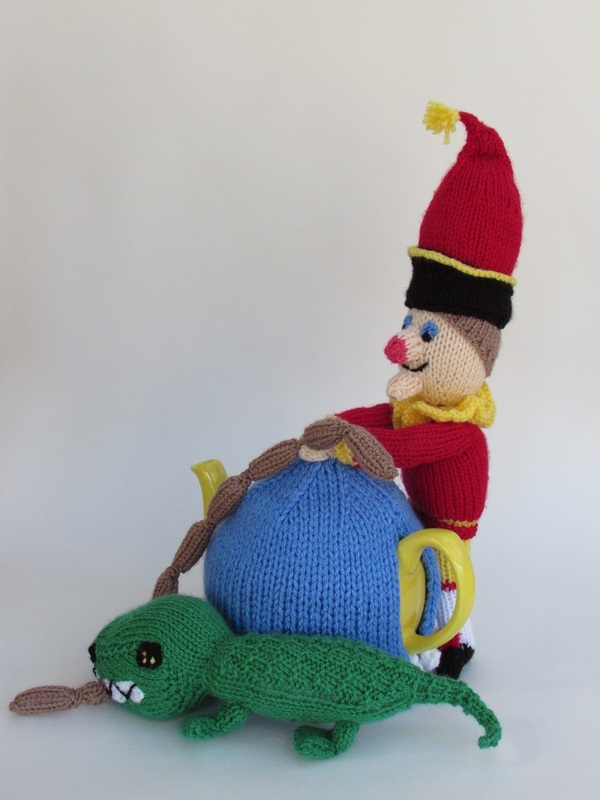 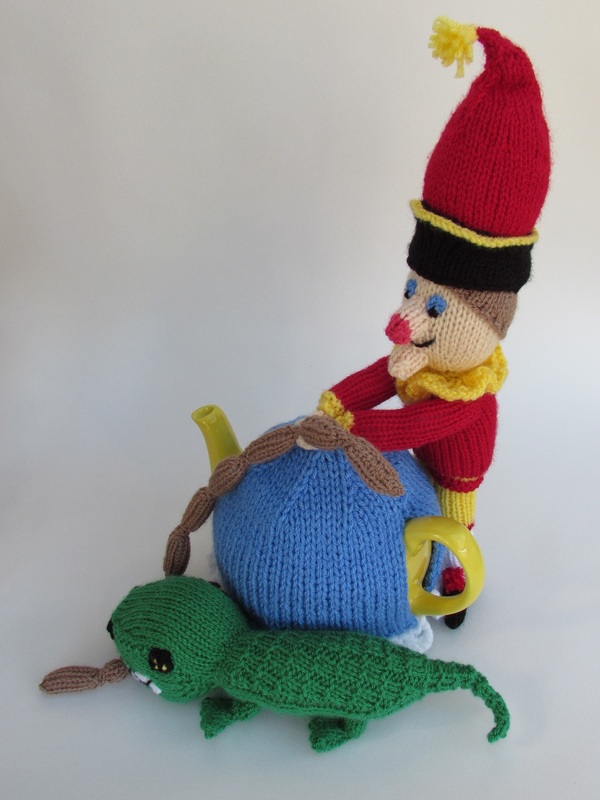 My tea cosy design include the characters Mr Punch and the crocodile. 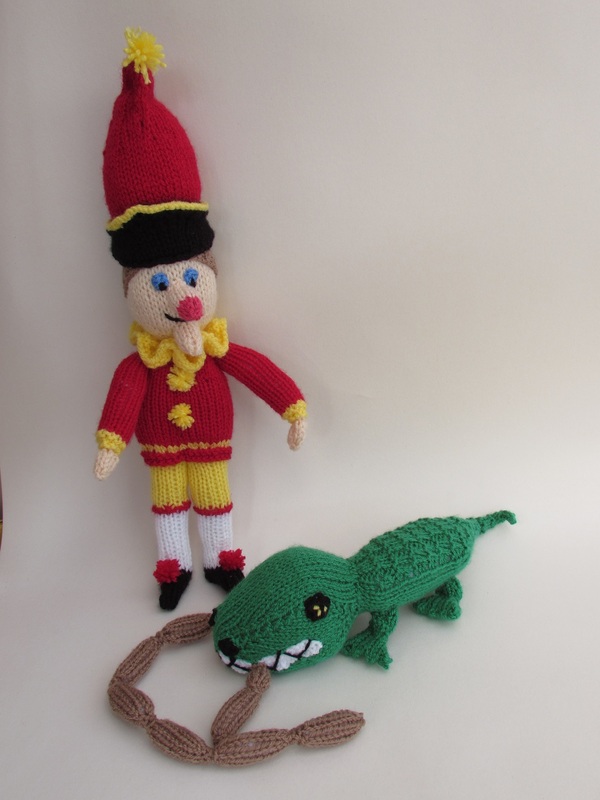 I think I chose the crocodile because he almost gets one up on Mr Punch when he bites his head. 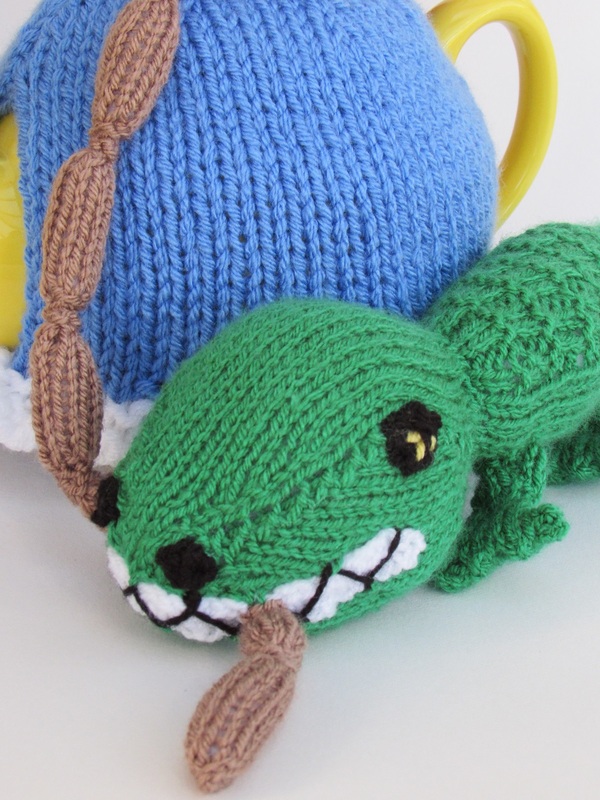 I have given them a long string of sausages to fight over. 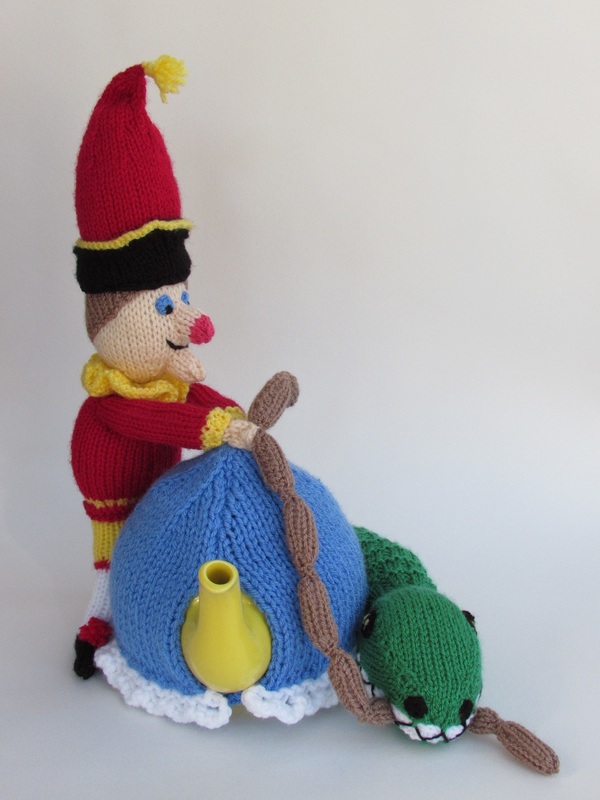 The main cosy itself is blue and the white scallop edging is a nod towards its theatrical origins, after all the puppet show is a stage with a curtain. 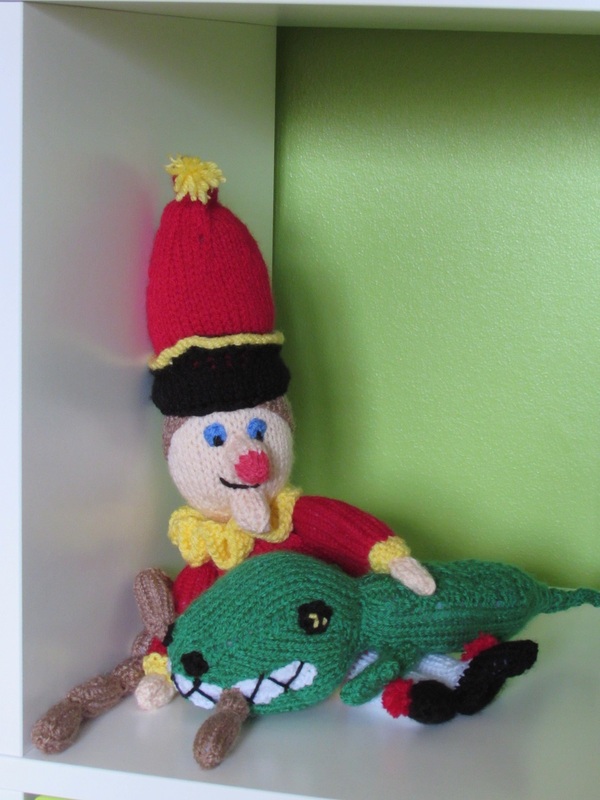 The Mr Punch and the crocodile can also be knitted up as toys. 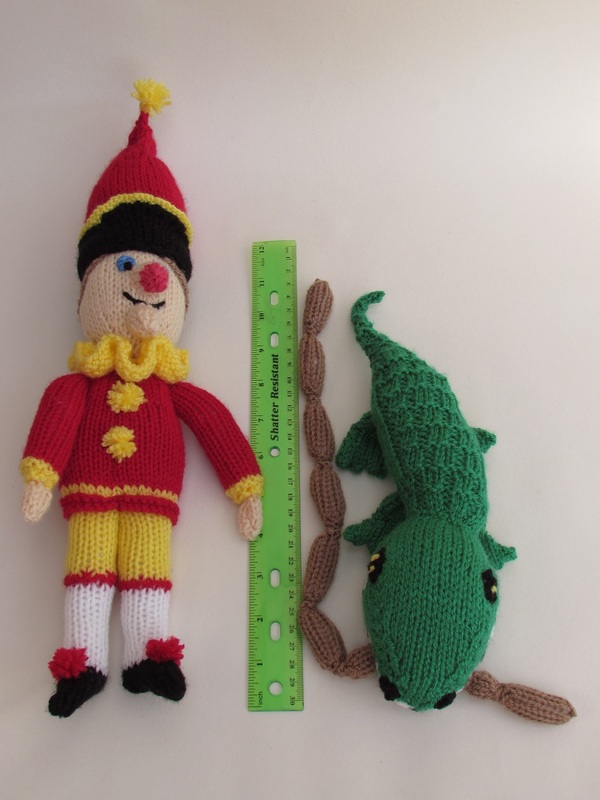 Mr Punch works out to be about 38cm tall, and about 8cm wide and the Crocodile stands 7cm heigh and is 29cm from nose to tail. 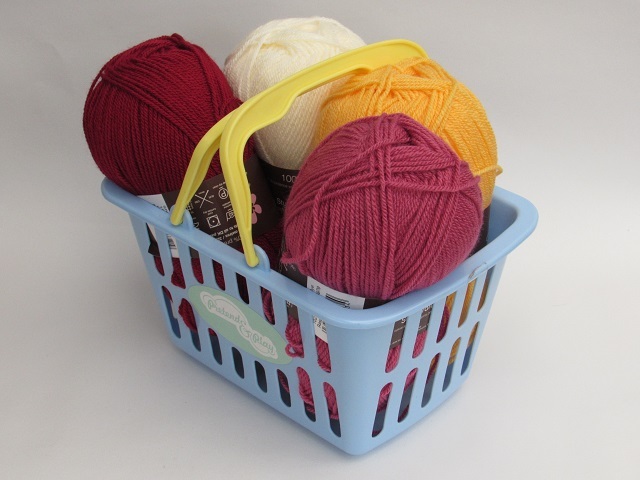 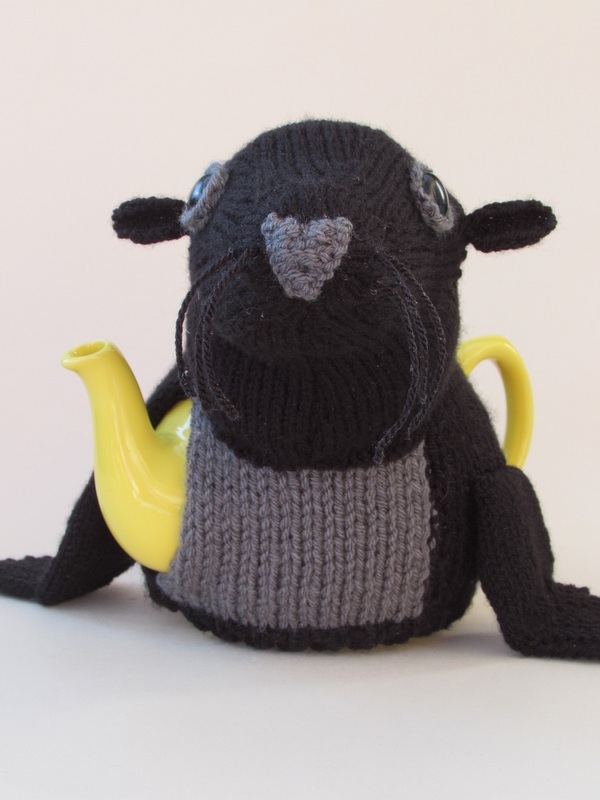 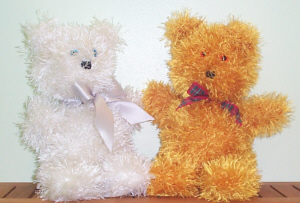 When you buy the pattern to make the tea cosy, you will also be given the changes to make the dolls as separate items. 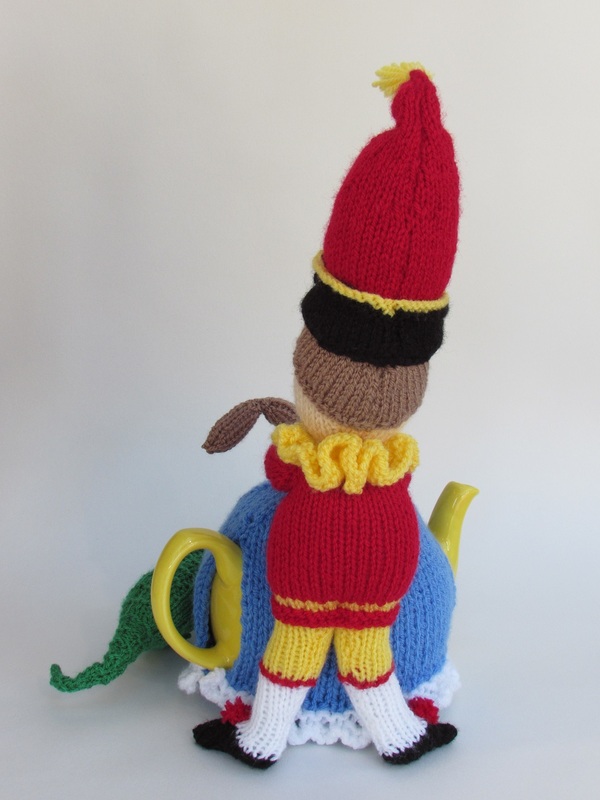 The Mr Punch pattern is a long one at 10 pages long, so it's a great project to get stuck into. 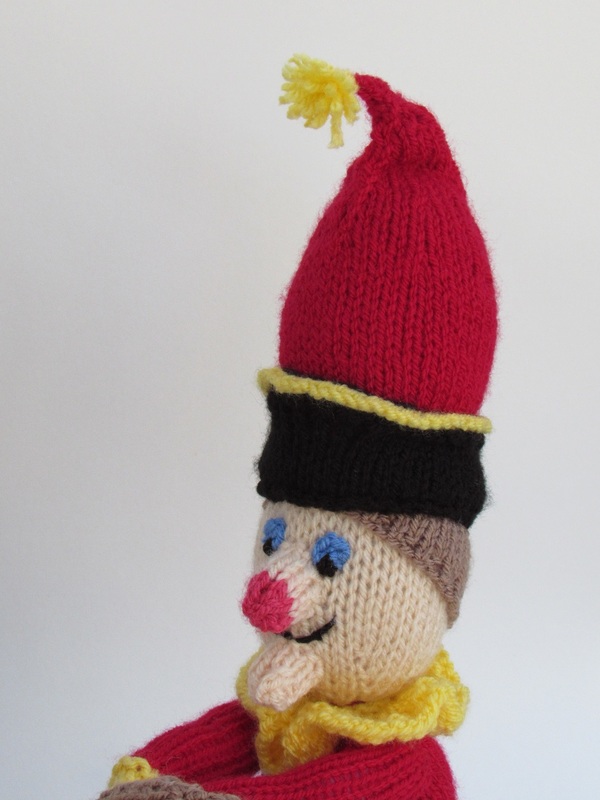 The pattern also includes a photo demonstration of how to make pompoms on forks as well as the tassel for Mr Punch's hat. 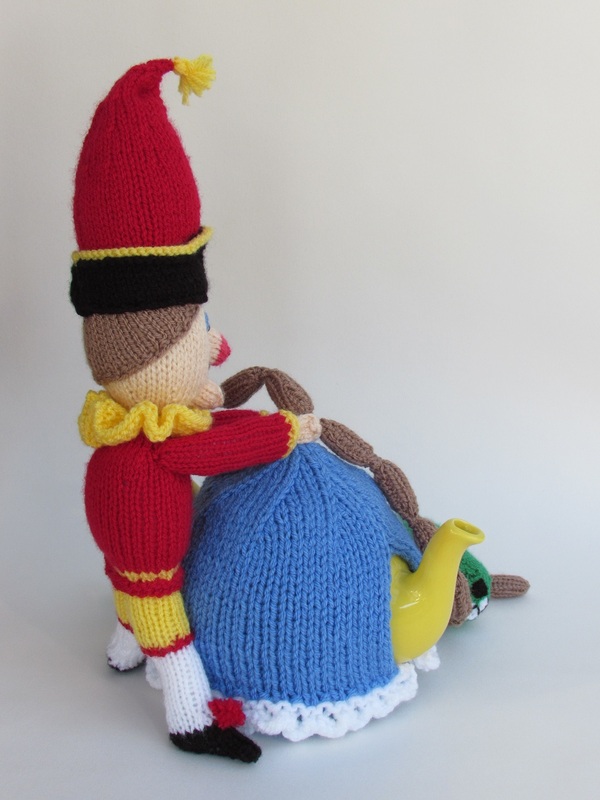 I think the Mr Punch tea cosy make you think of childhood, and visits to the seaside; and they are perfect memories to savour whilst supping a nice cup of tea. 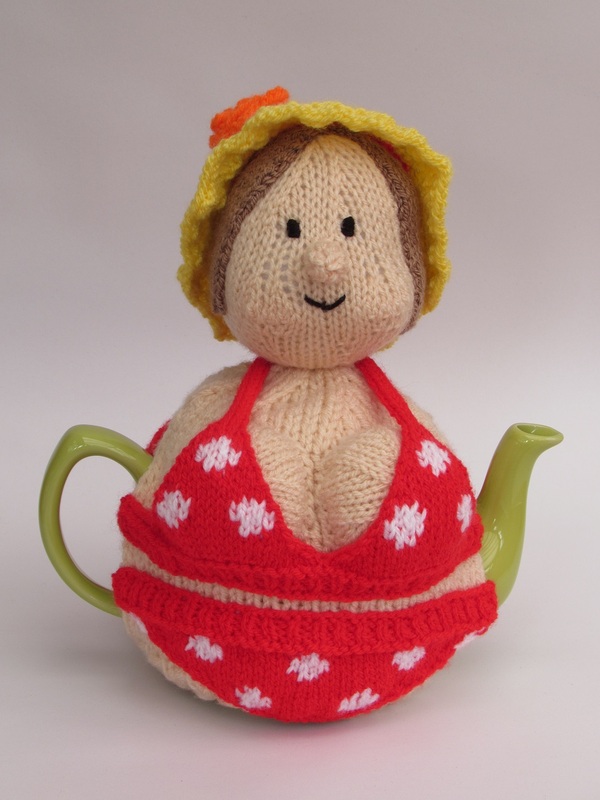 Hot Tea? 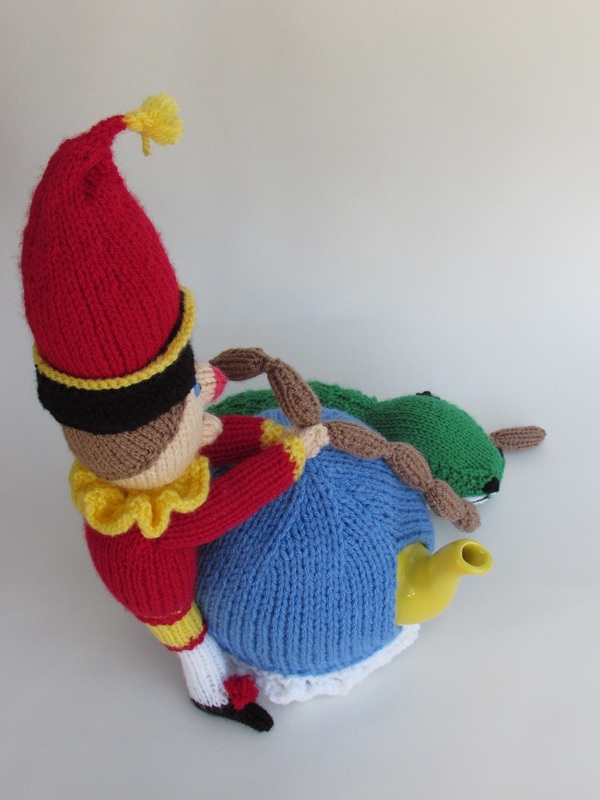 That's the way to do it!